Coker Tire Company offers a large selection of antique and classic motorcycle tires. Authentic treads, sidewalls and sizes are outstanding options for restored, survivor or custom motorcycles. Shop popular brands such as Firestone Deluxe Champion, G&J, Metzler, Simplex and more from the world's leading supplier of tires and wheels for collector vehicles. Beck motorcycle tires are available in 500-16 and 400-18 sizes and feature a classic tread design. 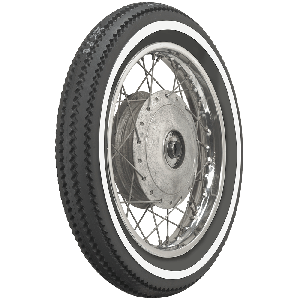 These classic motorcycles tires are offered with either whitewall or blackwall sidewall styles and are excellent tires for restored vintage motorcycles or custom bike builds. Vintage motorcycles are hot with collectors right now. Their appeal is wide reaching. Some are cheap to buy, they can be fairly easy to restore and always inspire the boy-racer freedom ride inside us. Vintage motorcycles are also the perfect platform for creative customization. With over 100 years of motorcycle makes and models already in the books, they are plentiful, as well. While some of the more rare antique bikes are starting break the record books wide open at the auction block, there are still plenty of fun and affordable vintage motorcycles out there to be restored and enjoyed. 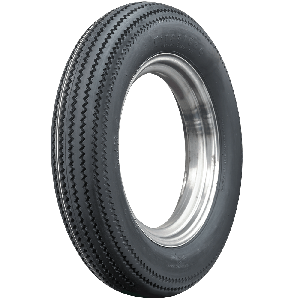 Coker Tire is the leading source for Firestone motorcycle tires, which are a high quality reproduction of vintage motorcycle tires from years past. Firestone Deluxe Champions are extremely popular for pre-WWII American motorcycles, such as Harley Davidson, Indian and more. Firestone vintage motorcycle tires are also the top choice for custom motorcycles, including classic European and Japanese bikes, ranging from caf̩ racers, bobbers, brat bikes, choppers and more! 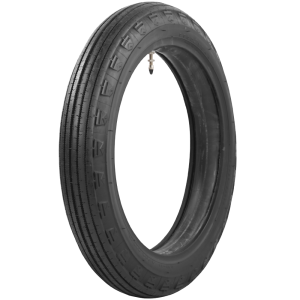 Ranging from 16-" fitments to 19-" fitments, the Firestone Deluxe Champion line offers classic profile and tread designs. 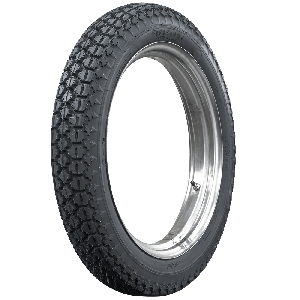 Other Firestone motorcycle tires, such as the ANS product line, and the new Firestone 275-21 and 300-21 sizes add even more diversity the Coker Tire catalog. 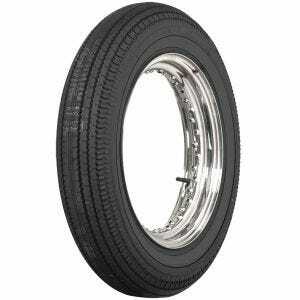 Coker Tire also offers Firestone Non Skid and other cl"er style tires for early motorcycles. Gormully & Jeffery Mfg. Co manufactured and sold bicycles in Chicago during the late 1800s. R. Philip Gormully (the G in G&J) was known for building Rambler bicycles while Thomas B. Jeffery(J in G&J) achieved additional fame as the inventor of the cl"er. Jeffery embedded a wire into a tires bead that could be tightened onto the rim which would become the forerunner of the cl"er tire. Jeffery got his patent in 1882. This little known bicycle shop in Chicago was a hot bed of creative and inventive activity in the late 1800s. 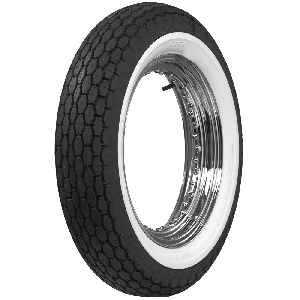 G&J tires from Coker Tire Company feature authentic tread design and sidewall markings that pay homage to the innovative spirit of the Gormully & Jeffery Mfg. Co. Premium G&J tires are available in all white or black rubber in 28 " sizes. Authentic zig-zag tread patterns make this Indian Script tire perfect for vintage motorcycles requiring 500-16 OR 400-18 tire fitments. These premium motorcycle tires are available in black rubber and are excellent for restored and survivor motorcycles including many Indian models. Coker Tire Company offers 200-17 Metzeler motorcycle tires in two different sidewall styles. Both motorcycle tires feature authentic tread patterns. These are excellent quality motorcycle tires constructed of premium rubber compounds. 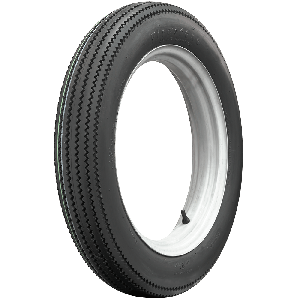 The Phoenix Cycle line of products from Coker Tire Company are high quality motorcycle tires designed to fit 1960s and 1970s European and Japanese motorcycles, such as BMW, Honda, Kawasaki and others. 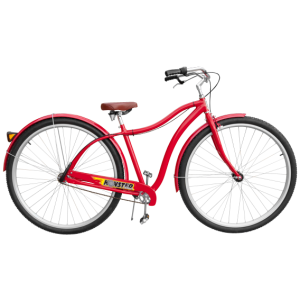 The tires feature premium rubber compounds and two tread patterns for these bikes. Phoenix Cycle tires are perfect for a classic motorcycle restoration, with seven sizes are available, ranging from 350-18 to 410-19. These excellent and affordable motorcycle tires are great for custom applications, offering good looks for caf̩ racers, brat bikes and more. Simplex antique motorcycle tires are premium tire offerings from the world's leading supplier of tires and wheels for collector vehicles. 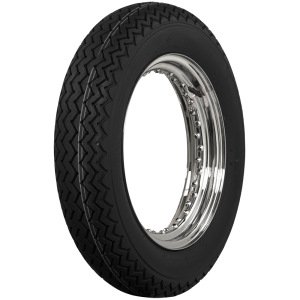 Simplex motorcycle tires feature authentic tread design and sidewall markings and are available in several sizes. These tires are excellent for restorations where an authentic antique motorcycle tire is desired. Premium U.S. Rubber motorcycle tires are available in 28 x 2 size. These cycle tires feature an authentic tread pattern and sidewall markings. Shop hundreds of fitments for antique and vintage motorcycles. Coker Tire Company also offers a huge selection of quality tubes and accessories. Find hundreds of motorcycle tire applications and tubes online or contact a Tire expert for assistance selection the correct tire.